Am Mittwoch war ich mit ein paar Bogenfreunden in ,,Merida", dem neuen Pixar-3D-Animationsfilm. Die Titelheldin lebt in den schottischen Highlands und ist eine Bogenschützin, also doppelte Inspiration für mich: keltische Kunst und Bogenschießen. Und da dachte ich, ich zeige zwei ältere Zeichnungen von 2011, bis ich was neues gezeichnet habe. Beide Zeichnungen sind Entwürfe für Messerscheiden. On Wednesday I watched the 3D animation movie "Merida" together with some archery friends. The movie is about a girl in the Scottish Highlands and she's an archer, which was a double plus for me: Celtic art and archery. I got lots of inspirations and thought I'd share some older work I drew in 2011. Both are designs for knife sheaths. Das hier ist eine Greifenmaske, gekrönt von einem Knotendesign. Das Original befindet sich auf einem Stein in Tuam, Irland, und wurde auf das 12. Jahrhundert datiert. 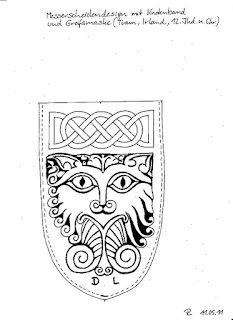 This is a griffin mask, crowned by a Celtic knot design. The original can be found on a stone in Tuam, Ireland, and is dated back to the 12th century. Das zweite Design ist eine Variation des Greifen von Broa, der auf ca. 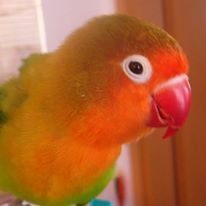 800 bis 850 n. Chr. datiert wurde. 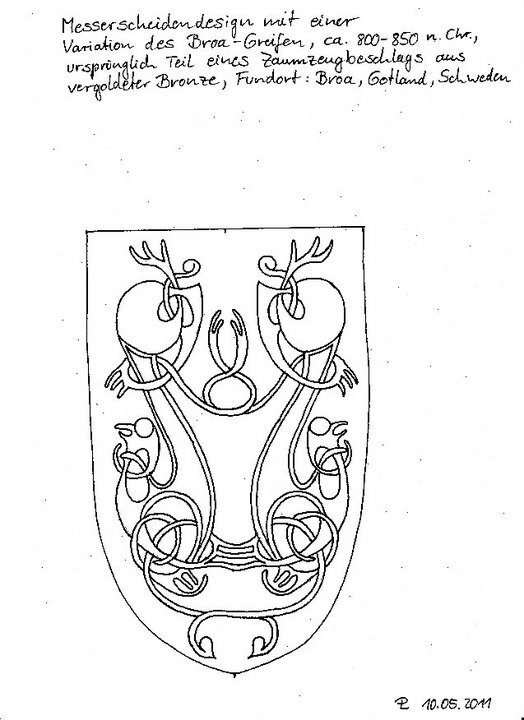 Das Original wurde in Broa, Gotland, Schweden, gefunden und war ursprünglich ein vergoldeter Zaumzeugbeschlag aus Bronze. 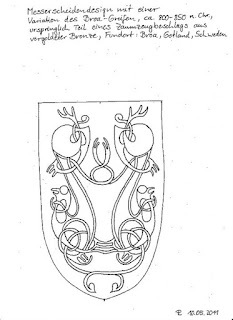 The second design is my own variation of the Broa griffin, which is dated back to 800 to 850 AC. The original was found in Broa, Gotland, Sweden, and was part of a bridle embellishment made of gilded bronze. Wonderful designs. I really enjoyed seeing them. Even before I read your comments I knew those designs would be perfect for leather work! The finished product will be admirable, as usual. Nice work! I love it when history and art combine! Thanks for sharing! Would love to see that movie. So impressive how you created your own version. Very nice. The movie sounds great! Archery is a wonderful sport! I love celtic designs - the swirls and patterns are lovely. 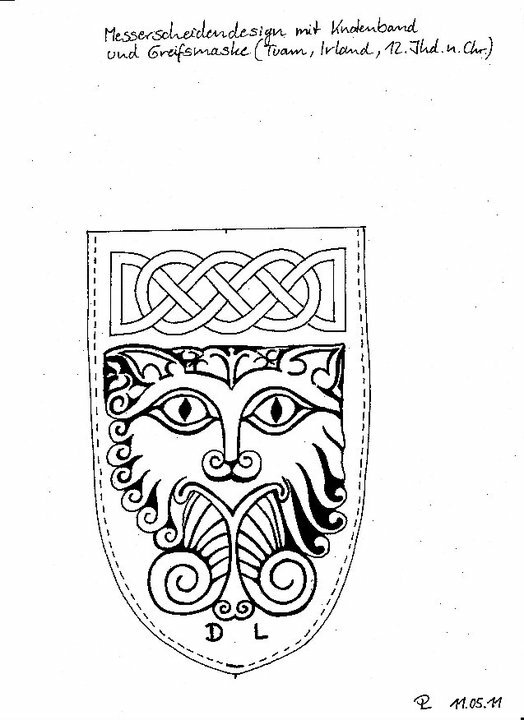 Love the history and the Celtic art is great. Learn something new every day. Thanks for sharing. I love celtic art! But it never occurred to me to try to design my own knots. Rinda, if you're interested in designing your own knotwork, the above link is a fantastic source including some graph paper for easily designing knotwork. That's how I learnt it. Beautiful drawings, perfect lines! Happy PPF! Your designs are beautiful, that movie was very inspiring to me too. There is another one called the Secret of the Book of Kells, you would love the art in that movie as well. What strong, detailed work you do!